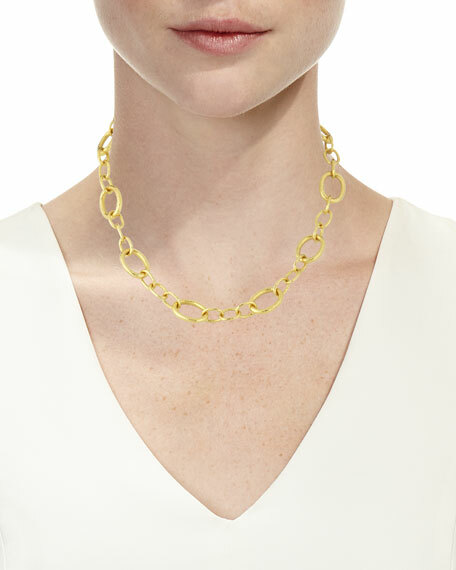 Handcrafted in signature 19-karat yellow gold, this dramatic Elizabeth Locke necklace catches the light at all angles. 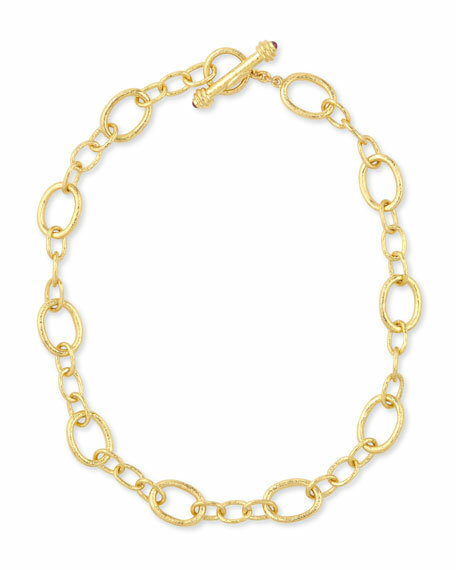 Handmade 19-karat yellow gold links with hammered finish vary in size. Toggle closure with granulated trim and ruby cabochon caps.